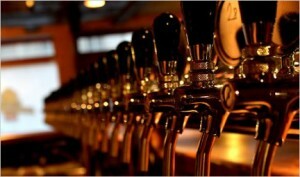 – events: now it is possible to organise your week based on the events where craft beer is the main character. But there are also the main events of the sector like Eurhop, Fermentazioni, Fiera Birra and in the recent years beer is a welcome guest also in the trade fairs dedicated to wine like Merano Wine Festival, Vinitaly and the restaurants such as Cosmofood, Salone del Gusto, RHEX. We, the passionate, are very happy of this constant growing of the sector of craft beer that is involving slowly always more fans, and the curiosities of the most. The curiosity is an instinct that has to be satisfied and here my reflection born. Which sellers are able to understand the needs of the newbie? How many sellers are able to satisfy the demand but above all the taste of whom, slowly and shyly, is discovering this world? In fact, until 10 years ago, it seems closed among the walls of the industrial production made of identical beer. Regarding this consideration, also the client has its importance and here I will give you some suggestions for who is at the beginning and want to discover this historical drink. First of all, it is important to dispose the myth and the popular behave that associate the colour of the beer (that some just call it red or blond) to a taste. It is not like this, the influence of the colour on the taste is not relevant. We can find in front of clear beers that can be sweet or bitter, both if they are amber, red or deeply black! Get rid of this prejudice, the taste of the beer is something that come from its ingredients, the yeasts used for its fermentation, the fermentation itself, the malts, hops and other aromas that can be added by the brew master, like flowers, spices and fruit. Do not influence your choice, above all in an environment rich in alternatives with the thought: “ I don’t like red beers, the red ones are too strong, the clear ones too light and the black beers too bitter” and so on. Rely on your instinct, you can get wrong but do not be dishearten! Even if you are attracted by an intriguing description, it is not true that your expectancies will be satisfied, despite the fact that you relied on your instinct. Anyway, you would have carried out an important experience that enriched you and make you more aware about what you like and what you don’t like. During a choice, it isn’t the role of the seller to clear your mind, you can also rely on a friend (who knows you better?). Maybe if you have already tasted a beer with the same style, he can describe it, and suggest it or not. Use your mind maybe you have already heard about that type of craft beer, use the information that you stored in your mind. But do not hesitate to ask to taste it, this won’t led you to make a complete analysis but it can give you a small presentation, a first impression, useful for a final decision. The situation will be different in a beershop or a supermarket, where in the first case you will be probably forced to rely on the suggestions of the sales assistant, in the second one, unfortunately, there won’t be anyone to guide your choice. In this case, I suggest you to not be influenced by the packaging. Often under a bottle that seems “important”, an elegant and refined label can hide a poor quality product! The advice is to taste! Taste, try and reflect and in this way you will widen your knowledge. Till its birth, our experiences drive our taste.